Homeopathy is one of my go-to treatments for many chronic concerns, it is quite effective when used in acute situations as well. As summer is approaching us, a home first aid kit, is an essential for every home. The following homeopathic remedies are must-haves for any first aid kit. This article walks you through the indications and dosing for these remedies. Remember, it is not essential to have every symptom present in order to prescribe a homeopathic remedy. If the picture generally fits, go ahead and dose the remedy. 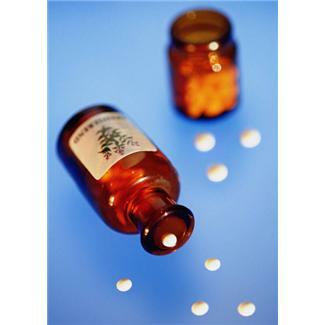 Homeopathy is a great first line therapy, used in conjunction with proper medical care for injuries that require it. The potency and doses recommended here are safe for adults and children. As with any health concern, please seek the appropriate treatment and follow up care as needed. Here are the homeopathic remedies to include in your first aid kit. Indications: Bee stings, insect bites, hives, jelly fish stings, stinging nettle rash, swollen joints. Symptoms: Swelling, itching, redness, pain stinging and burning. Puffy swelling – eyes, throat, tongue, face. Thirstlessness. Better with cold application and open air. Worse with heat, touch and pressure. Dosage: 30C – 3 pellets every 3 hours up to 3 doses per day. Indications: Give immediately for any injury or accident. Excellent for bruising to soft tissues, sore muscles, shock, falls, head injuries, contused wounds, black eye, brain concussion and for the shock of burns. Symptoms: Soreness and bruised feeling, shock, bleeding caused by injury, muscle soreness from over exertion and bruising. Used in early sprains to promote healing. Indications: Nerve end injuries- crushed fingertips, tailbone injuries, dental procedures or medical surgeries. Puncture, incised or lacerated wounds. Severe concussions of brain or spine. Symptoms: Pains shooting up the limb or pains shooting centrally in the limb. In spinal injuries, pain moves up and down the spine. Worse from touch, cold, dampness, fog. Better from bending the head back. Dosage: 30C 3 to 5 pellets every 3 hours up to three doses per day. Indications: Puncture wounds from sharp objects bee or mosquito stings, animal bites and scratches, black eye from blow, long lasting bruising. Symptoms: Injured area is cold and numb, relieved by cold. Worse at night from warm applications and from the heat of the bed. Dosage: 30C 3 to 5 pellets every three hours up to 3 doses per day. Symptoms: Painful when beginning to move- better after continued motion. Better from heat. Thirsty, restless. The injured area is hot and swollen. Worse from damp cold weather. Dosage: Use after arnica when treating strains. 30C three to five pellets every 3 hours up to 3 doses per day. Indications: Sprains close to the bone and periosteum or involving tendons or ligaments and not helped by Rhus toxicodendron. Bruised bone, shin splints. Symptoms: Strains and sprains. Worse from cold, lying down, wet weather and being at rest. Dosage: Use Arnica Montana initially. 30C three to five pellets every 3 hours up to 3 doses per day.